The basic fee is $500USD per person per week. We are happy that the week can be 9 days in order to accommodate arriving on Saturday and leaving on the following Sunday. Please get in contact for other periods such as half weeks or longer periods. Transport- we are happy to organize public and/or private buses and taxis but you will need to include them in your budget. Food- we do not cover the purchase or preparation of your meals. We do, however, provide the cooking facilities in the volunteer house. All fees whilst on excursions and relaxation activities including entry fees, hotel fees, food etc. We are happy to work with you prior to arrival on working out exactly what additional services you need e.g. meal preparation, personal driver / transport, translation etc and provide you with the most cost effective options. We are happy to include these fees in your initial payment or for you to pay in cash when you arrive. We know that working out a budget is complicated so we are happy to work with you prior to your arrival in order to plan a schedule of your entire trip that will get the most out of your time and budget constraints. Why is the fee higher for Brigades? Our normal volunteers require only limited assistance in the first day or two of their stay. Once they are oriented and introduced to their project they schedule and organize their stay. A brigade requires considerable planning before arrival in order to ensure that all of the limited time in Nicaragua is filled completely. Brigades also need full time assistance from members of Casa-Nica staff for the entire duration of their stay including excursions and relaxation activities. 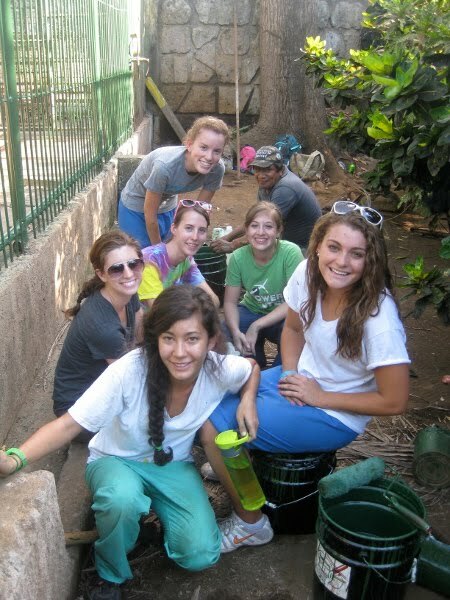 The Casa-Nica volunteer house has a maximum capacity of 15 persons. Please see here for a photo tour. If your group is larger than 15 persons we are able to place additional people in accommodation within a few blocks of the main volunteer house. If you have any specific requirements just let us know and we can work those out with you. The majority of social organization in Nicaragua are short of supplies, materials and tools to work with. They are always overjoyed to receive donations, however seemingly small, that will make their lives easier. You can bring donations that are relevant to the project that you will be working on or for any of the projects that we work with (see the projects section here). It is difficult to list exactly what to bring as the needs are always changing. We can discuss this as a part of the planning for your trip to ensure that the donations are useful and relevant. However, there are also general ongoing needs for donations at each of the projects that we work with, which you can check out on our Donations page.